If you’re looking for help with tile and grout cleaning, our cleaning expert at Eco Friend Carpet Care can simplify your life by providing professional tile and grout cleaning services. For regular tile cleaning, you probably have few products and equipment that you use and try to keep your tile sparkling clean; but just because you have them, that doesn’t mean you should always use them. There’s a good chance you have some of these types of products in your house for regular cleaning, but you should avoid using them for tile and grout cleaning in Las Vegas, rather than it is better to approach to professional tile and grout cleaning services. Bleach and ammonia-based cleaners will discolor your grout over time; that’s the reason it’s good to use mild, all-purpose cleaner or cleaners recommended by the tile manufacturer. soft cloths and mops to clean both tile and grout. Even with the finish on your tiles, they can still absorb stains. If you spill anything on your tile and grout that can cause a stain, like oily liquids, tomato sauce and beverages like wine and coffee, clean it up quickly so it doesn’t seep in. Dirt on the surface of your tile is not a huge issue – until someone walks on it and the dirt settles into the tile. Dirt and grit can damage tile and grout, that’s the reason you should sweep or mop tile floors on a regular basis. In addition, consider placing a mat down inside and outside the exterior door to trap dirt before it gets to your tile floor. It’s very easy to splash water on your tile floor when you’re mopping, but it’s not a great idea to splash too much water or to leave it to air dry. The minerals in tap water can easily dull the color of tile and grout. The wetness can help mildew to grow and look dingy and even if the witness air-dries quickly, it can leave tile looking flat and dull. If your daily cleaning is not working out as you want. Then call Eco Friend Carpet Care to help you. We are ready to serve you. We provide professional tile and grout cleaning services in Las Vegas and nearby areas. Call us at+1 702) 768-4900 to make your bookings now!! As the holidays begin to approach, we are ready to get a nice break from our schools and offices as Christmas is coming. This is one of the best and annual festival celebrated with joy and happiness. In this time people begin to arrange things in their home. It means close attention is towards cleaning and making the house feel great. There is one thing that is usually overlooked when it comes to cleaning and it’s “Tile and Grout Cleaning”. Everyone knows that tile plays an important role when it comes to flooring but grout has its own significance. If you have expensive and attractive tile which you clean it on regular basis but what if grout is black and untidy? The overall looks get affected. Regular cleaning and brightening can completely transform a look of your room. While you don’t have to recolor your grout, So, it is a beneficiary if an annual grout cleaning is a part of winter routine. Eco-Friend Carpet Care loves helping people get ready for the Christmas holidays. Whether you need a routine cleaning or a before Christmas cleaning we can provide you both. We are working as a tile and grout specialist in Las Vegas and nearby areas. Our cleaners have years of experience and are specially trained under experts using the modern machines, equipments and cleaning solution. As said “practice makes man perfect“ our cleaners have gone through many practice sessions. Where they have enough knowledge of the type of fabric and the best solution for the same. 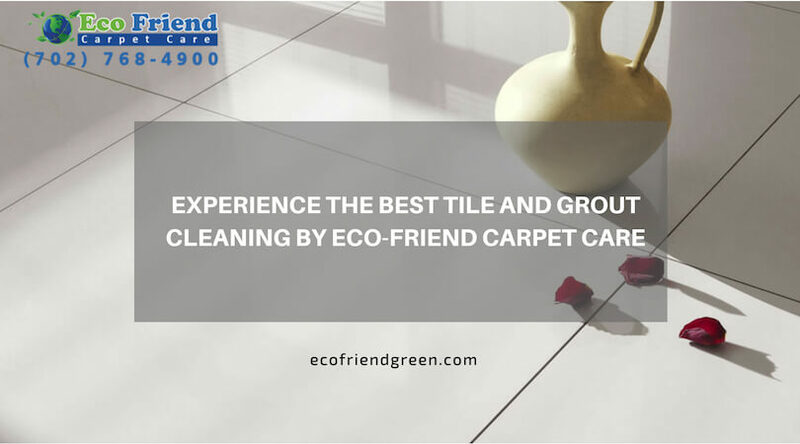 We can give a guarantee that no one can provide deep Tile and Grout Cleaning as Eco-Friend Carpet Provides in Las Vegas. We started with limited services in 2010, but now we have expanded our services as well as service areas. This is was only possible with the love and support from our happy clients. Mouth referrals performed a major role in business growth. Locally people love us as the Best Cleaning Service Providers in Las Vegas. 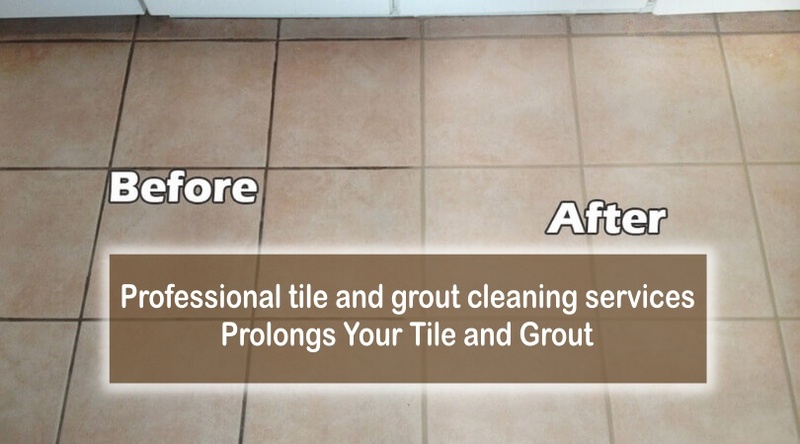 We are one of the best tile and grout cleaning companies in Las Vegas and nearby areas. Want to know What is so special about us? We are transparent with our rates, there are no hidden charges. You just need to pay for the service you used. Eco Friend Carpet Care provide Carpet Cleaning, Area Rug Cleaning, Mattress Cleaning, Stone Cleaning, Tile and Grout Cleaning, Pet Odor Removal and Upholstery Cleaning for both your residential and commercial needs. We also specialize in carpet cleaning and we are considered by experts as one of the best carpet cleaning companies in Las Vegas. Similarly, you can follow us on Facebook, Instagram, LinkedIn, Twitter, Google+, and YouTube to know our daily updates and also can take advantage of our new campaigning and offers. To make your bookings contact us at (702) 768-4900 or fill up our online inquiry form.